A lifelong dedicated fan of his beloved Green Bay Packers, LeRoy William Dittman was born on September 4th, 1941 in Green Valley, Wisconsin and died at home of complications from cancer and heart disease on February 26th, 2019. He grew up in Shawano (SHAW-no), Wisconsin, graduated from high school in 1959 and attended the University of Wisconsin in Madison for two years before transferring to Brown Institute of Broadcasting in Minneapolis, Minnesota. On receiving his broadcasting certificate in 1962, he accepted a position as a night time disc jockey at KKJO AM Radio in St. Joseph, Missouri, staying in Missouri just long enough to acquire a wife in 1963 before leaving in May of 1964 to become a newsman at WING AM Radio in Dayton, Ohio. He was named news director shortly after arriving there and remained in Dayton for twelve years, long enough that most people considered him a “lifer”, something unusual in the field of radio broadcasting. In 1976, he surprised everyone by moving his family to nearby Columbus, Ohio to become news director at WBNS AM Radio and then a short three years after that, moved them again, this time to Boise, Idaho to become general manager of KIDO AM and its new sister station, Q104 FM. He worked as GM in Boise for Sundance Broadcasting until 1985 when he decided that it was finally time to run his own station. With a little luck and very little money, he was able to buy into a partnership that owned KBZY in Salem. 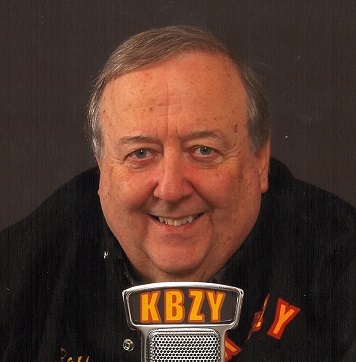 In pursuit of more lucrative careers, the partners disappeared over the years and Roy eventually became sole owner of KBZY. The station was the great love of his life and he did everything possible to ensure that it remained a strong presence in Salem and a valuable asset to the community. He is survived by his wife of 55 years, Gloria, their two sons, Greg (Crystal) and Jon (Mary), ten grandchildren and three great-grandchildren. We, his family, wish to express our deepest gratitude to his many kind and caring physicians and nurses, to Willamette Valley Hospice, and to all of you who knew and loved Roy. If you were a part of his life, then you will always be part of ours as well. A memorial service date is not yet scheduled. If you would like to honor Roy with a remembrance, please consider a donation to either the Leukemia & Lymphoma Society or to the American Heart Association. Roy was a great man, a great boss and a great friend. His caring knew no bounds, as he loved his community. He didn’t just teach great radio skills, he taught life skills. First and foremost was how to care for your fellow man. I’m already missing you, dear friend. I’ll see you in eternity! Roy was one of the greatest guys I have had the pleasure of knowing. Always coming up with a joke and just a great sense of humor. I loved hearing him on the radio and have missed that these past few months. Hugs and prayers to you, Gloria and your family. I will miss him. Dear Dittman family, I am so sorry for your loss. When someone we love falls asleep in death, the memories we have of them become our treasure. May those cherished memories and the promise held out to us in God’s word at John 5:28, 29 bring some comfort to you all. We had some great times and a vacation of a lifetime with Roy. He always made us laugh! He will be greatly missed By the Malashevitz family. Sympathy to his wife Gloria and his great family. Our prayers are with all of Roy’s family! Roy was a good friend he would do anything for anybody if he could. Brenda and I had a long-standing personal and business relationship with him. He was the voice of Salem. You will surely be missed my friend Rest In Peace Roy..
Uncle Roy will be missed by many, but especially his favorite niece! Roy was a wonderful and very caring man and a dear cousin to us. He will definitely be missed. Our love and sympathy go out to Gloria, his two sons Greg and Jon, and to the rest of the family! Roy’s familiar voice is a staple of the Salem community that will be greatly missed. Thank you for trusting Johnson Funeral Home with his arrangements.